Better known as a Brazilian blow dry, keratin is a chemical process of semi-permanent hair straightening. It involves depositing a liquid version of the protein keratin combined with a chemical preservative onto the hair. This is then ironed into a straight position. Keratin treatments become ever more popular by the week amongst curly or frizzy haired women but they draw health warnings, not least by the presence of formaldehyde and methylene glycol. Both of these chemicals are known to be potential carcinogens. So, do your due diligence and investigate exactly what’s contained in the formula your stylist is using. Even those purporting to be natural, organic or formaldehyde-free may not stand up to their claims. Using too-strong chemicals is dangerous, particularly if you have a sensitive scalp or certain allergies. The ironing phase of keratin straightening too can cause harm. Using devices emitting high temperatures on hair that’s fine, coloured or not in the best condition to begin with, is a sure-fire recipe for hair disaster. American actress Jennifer Aniston is reputed to have cut her world-famous long locks to chin length following damage incurred by keratin straightening. Be prepared to have to resort to the same drastic cure – that is having your hair cut short – to salvage your hair. It’s not permanent: While it’s a great time-saving alternative to straightening your hair every day, you’ll need to get the treatment done at your hairdresser’s every 4 months or so. 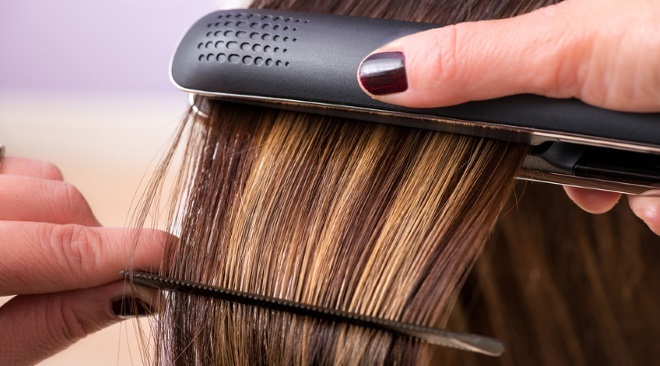 It’s costly: Using a reputable, certified stylist is a must so be ready to pay upwards of £200. Cheap offers from lesser known, untrained stylists is false economy in the long run. It takes time: Keratin’s a time-consuming treatment performed in several stages. Allow between 2 and 4 hours in the salon overall. It requires aftercare: You’re advised not to do anything to your hair – wash, tie or style – for at least 48 hours, and use sulfate-free shampoo and conditioner thereafter. It’s potentially damaging: Chemicals and temperatures could be bad news for your hair. Discuss the possible risks with your hairdresser before you commit. With the correct level of forethought and professional application of your keratin treatment, you’ll be the proud owner of sleek, straight, easy-to-manage hair. Should any negative side effects come about, having to sue a hairdresser may become an unfortunate necessity. If this is the case, our expert legal team can assist.